Objectives: Type 1 diabetes mellitus is an emerging epidemic worldwide and results from autoimmune destruction of insulin-producing β cells. Islet transplanting is a potential treatment for type 1 diabetes mellitus. Materials and Methods: The Shiraz Organ Transplant Center is a leading center for organ transplants, especially pancreatic transplants, in Iran. For this reason, we want to establish an islet transplanting program. Here, we briefly describe our experience with islet isolation on 6 pancreata from deceased donors. We discussed the necessary equipment required for this procedure, as well as the professionals needed and a specially planned facility. Results: Islet yield was ≤ 100 000 (islet equivalent), viability 40% to 45%, and the purity was 30% to 45%. We do not have a refrigerated COBE processor for purification; therefore, the yield was low. Our experience shows that we should improve things, so as to acquire more islets for developing clinical grade cell therapy. Conclusions: Overall, isolation costs are high, and accessing a safer, more economic, and persistent source of material and reagents will improve this technique. Although pancreatic transplant achieves insulin independence in many patients beyond the first year,3,4 it is associated with risks of major surgical procedures and long-term immunosuppressive drug therapy.3 In contrast, islet transplanting does not require any significant surgery or general anesthesia.5 In this article, we briefly describe our experience in islet cell isolation at the Shiraz University of Medical Sciences in Shiraz, Iran. The pancreas was procured after obtaining written, informed consent. All protocols were approved by the ethics committee of the institution before the study began, and the protocols conformed with the ethical guidelines of the 1975 Helsinki Declaration. The donors were tested for human immuno-deficiency virus, hepatitis B and C viruses, venereal disease reaction level, and cytomegalovirus. The organ was recovered, en bloc, together with duodenum and spleen. University of Wisconsin solution was used for in situ flush and storage of organs under cold-storage conditions. The media and reagents were purchased from Invitrogen GmbH (Germany) Gibco Inc (Life Technologies GmbH, Darmstadt, Germany). Each step in the isolation procedure was written in the standard operating procedures. Samples from tissue transport solution and final cell suspension were taken for microbiologic examinations (aerobic and fungi). Islets were isolated using the method described by Ricordi10 (Figures 1 and 2). A central incision into the pancreas was performed, and 2 cannulae were inserted into the main pancreatic ducts. Perfusion was achieved with collagenase NB1 (Serva Electrophoresis, Heidelberg, Germany) using a peristaltic pump. The collagenase solution was slowly warmed to 37°C. The pancreata were initially distended at 80 mm Hg for 5 minutes, after which the pressure was increased to 180 mm Hg for 15 minutes. The distended organ was cut into 6 to 8 pieces. Then, the fragments were transferred to the Ricordi chamber and mechanically dissociated. Constant agitation aided digestion. During digestion, samples of the pancreatic tissue were taken and stained with dithizone to determine an optimum digestion endpoint. Dithizone was used to stain the islets a bright red color to distinguish them clearly from exocrine tissue. When the majority of the islets were free of exocrine tissue, the dissociation chamber was flushed with 8 liters of cooled Royal Park Memorial Institute medium solution containing bovine serum albumin to terminate the enzyme activity of the collagenase. Pancreatic digest contained both endocrine and exocrine tissue. The digest is then added to cold University of Wisconsin solution. Because of the difference in densities between the endocrine and exocrine fractions, the lysate purified using discontinuous Ficoll gradients. After centrifugation, the interface containing the islets was removed and prepared for yield and purity.10-13 Viability was measured by combined fluorescent dye staining with propidium iodide and fluorescein diacetate. Then, the islets cultured in CMRL media and maintained in a humidified incubator at 30°C with 5% CO2. Unfortunately, the glucose challenge test was not performed to determine the functional activity of isolated cells. All donors were brain-dead males (mean age, 32.3 ± 17 y; age range, 16 to 50 y). Motor vehicle accidents, stroke (intracranial hemorrhage), and brain tumors were the major causes of death (Table 1). The cold ischemia time was 12 ± 4 hours. Islet yield was ≤ 100 000 IEQ (islet equivalent), viability was 40% to 45%, and the purity was 30% to 45%. The islets were shaped oval-round, with intact membranes. Overall, the majority of islets were free, but a few islets that were embedded in residual exocrine tissue also were identified. We did not have a refrigerated COBE processor (COBE 2991, Cobe, GAMBRO.BCT, Lakewood, CO, USA) for purification, therefore our yield was low. Type 1 diabetes mellitus, a noncommunicable disease, is rapidly rising and has become a major challenge globally. It is also a major public health issue in Iran. Type 1 diabetes mellitus is a disproportionately expensive disease, requiring long-term medical attention, with a loss of productivity. Whole organ pancreatic transplant is effective in restoring normoglycemia, and pancreatic islet transplanting is another noninvasive treatment. One of the major goals at the Shiraz Transplant Center is to establish a pancreatic islet transplant facility for treating diabetic patients.4,18 We have good access to an organ donation system, which is an important point that can help us to establish a cell therapy center.21,22 Larijani and associates have described their experience in setting up a Current Good Manufacturing Practice islet processing facility at the Tehran University of Iran.17 In our experience, islet viability and purity were 40% to 45% and 30% to 45%, with a low yield. Unfortunately, because of sanctions in Iran, direct purchasing of materials and equipment from overseas suppliers is difficult. The costs of materials are more expensive than they are for other countries. Our experience must be improved to achieve more yields to develop clinical grade cell therapy. Stringent donor inclusion criteria, with optimal continual gradient purification by a COBE cell separator, will be key factors in attaining good islets in the future. An important advantage of a continual gradient is that it allows collecting serial fractions with different degrees of purity that can be assessed separately to select those with the highest purity for transplant. Bretzel RG, Hering BJ, Federlin KF. Islet cell transplantation in diabetes mellitus--from bench to bedside. Exp Clin Endocrinol Diabetes. 1995;103(suppl 2):143-159. Sutherland DE, Gruessner RW, Gruessner AC. Pancreas transplantation for treatment of diabetes mellitus. World J Surg. 2001;25(4):487-496. Lencioni C, Lupi R, Del Prato S. Beta-cell failure in type 2 diabetes mellitus. Curr Diab Rep. 2008;8(3):179-184. Nikeghbalian S, Malek-Hosseini SA, Salahi H, et al. Pancreas transplantation in shiraz organ transplant center; the first Iranian experience. Arch Iran Med. 2008;11(5):490-496. Ichii H, Ricordi C. Current status of islet cell transplantation. J Hepatobiliary Pancreat Surg. 2009;16(2):101-112. doi: 10.1007/s00534-008-0021-2. Ricordi C, Strom TB. Clinical islet transplantation: advances and immunological challenges. Nat Rev Immunol. 2004;4(4):259-268. Shapiro AM, Lakey JR, Ryan EA, et al. Islet transplantation in seven patients with type 1 diabetes mellitus using a glucocorticoid-free immunosuppressive regimen. N Engl J Med. 2000;343(4):230-238. Bentsi-Barnes K, Doyle ME, Abad D, Kandeel F, Al-Abdullah I. Detailed protocol for evaluation of dynamic perifusion of human islets to assess β-cell function. Islets. 2011;3(5):284-290. Kenyon NS, Ranuncoli A, Masetti M, Chatzipetrou M, Ricordi C. Islet transplantation: present and future perspectives. Diabetes Metab Rev. 1998;14(4):303-313. Tiwari JL, Schneider B, Barton F, Anderson SA. Islet cell transplantation in type 1 diabetes: an analysis of efficacy outcomes and considerations for trial designs. Am J Transplant. 2012;12(7):1898-1907. doi: 10.1111/j.1600-6143.2012.04038.x. Shapiro AM. Strategies toward single-donor islets of Langerhans transplantation. Curr Opin Organ Transplant. 2011;16(6):627-631. doi: 10.1097/MOT.0b013e32834cfb84. Iglesias I, Valiente L, Shiang KD, Ichii H, Kandeel F, Al-Abdullah IH. The Effects of Digestion Enzymes on Islet Viability and Cellular Composition. Cell Transplant. 2012;21(4):649-655. Ricordi C, Lacy PE, Finke EH, Olack BJ, Scharp DW. 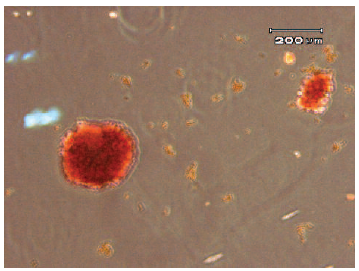 Automated method for isolation of human pancreatic islets. Diabetes. 1988;37(4):413-420. Sotta ED, Madalozzo TM, Percegona L, et al. Establishing an islet transplantation program in a developing country. Transplant Proc. 2004;36(6):1700-1703. Noguchi H, Matsumoto S. Islet transplantation at the Diabetes Research Institute Japan. J Hepatobiliary Pancreat Surg. 2008;15(3):278-283. doi: 10.1007/s00534-007-1263-0. Larijani B, Arjmand B, Amoli MM, et al. Establishing a cGMP pancreatic islet processing facility: the first experience in Iran. Cell Tissue Bank. 2012;13(4):569-575. doi: 10.1007/s10561-011-9273-1. Rahsaz M, Azarpira N, Nikeghbalian S, et al. Vitamin D receptor genotype in pancreas allograft: a pilot study. Exp Clin Transplant. 2012;10(5):487-491. doi: 10.6002/ect.2011.0115. Hengster P, Hermann M, Pirkebner D, Draxl A, Margreiter R. Islet isolation and GMP, ISO 9001:2000: what do we need--a 3-year experience. Transplant Proc. 2005;37(8):3407-3408. Yamamoto T, Horiguchi A, Ito M, et al. Quality control for clinical islet transplantation: organ procurement and preservation, the islet processing facility, isolation, and potency tests. J Hepatobiliary Pancreat Surg. 2009;16(2):131-136. doi: 10.1007/s00534-009-0064-z. Azarpira N, Salahi H, Geramizadeh B, Daraie M. Vitamin D receptor polymorphisms in liver transplant recipients. Exp Clin Transplant. 2010;8(4):314-317. Aghdaie MH, Azarpira N, Kazemi K, Geramizadeh B, Darai M, Malekhoseini SA. Frequency of HLA-G exon 8 polymorphisms and kidney allograft outcome in Iranian population. Mol Biol Rep. 2011;38(5):3593-3597. doi: 10.1007/s11033-010-0470-y. Acknowledgements: We are grateful to Dr. Ismail H. Al-Abdullah, Department of Diabetes, Endocrinology and Metabolism, City of Hope and Beckman Research Institute, CA, USA, for giving us the opportunity to visit their active center, and also, for their continual enthusiasm and support of our program. We also would like to thank Dr. Mohammad Vasei and the Iranian council of stem cell technology for their financial support. This work was supported, in part, by Shiraz University of Medical Sciences (Grant No. P-120). All authors have no conflicts of interest to declare.